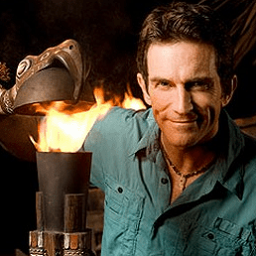 Click here to message the moderators of /r/Survivor! On Thursdays, /r/Survivor crowdsources a Player of the Week, based on what happened during that Wednesday’s new episode. Below you will find a list of all the contestants in the episode. For this season, players on Extinction Island are not eligible to be voted on. Should they return to the game, they will be made eligible again. Upvote/downvote players you thought improved/hurt their odds this week. Note that this thread is in contest mode for the first ~24 hours, so castaways may not appear in the order you expect. Synopsis: Another blindside could be in sight after alliances start to crumble. Also, one castaway comes out on top after a crucial immunity win. Read our spoiler policy here. Please keep new submission titles spoiler-free until Friday morning. If you are submitting an image or post that might spoil people, include "Spoiler" in the title so that reddit tags it appropriately. Do not discuss or spoil events before they are air on the Pacific time broadcast. Doing so will result in a warning or immediate ban. Comments are fair game for spoilers (excluding production spoilers), so read at your own risk! West Coasters, chat about the episode as it airs live on the West Coast! There will be a separate thread at 7:45 PM Pacific Time. Once again the Predictions thread is back up to fulfill your Survivor: Edge of Extinction prophesying needs! Post your serious (or not-so-serious) predictions for Episode 11 here. Avoid stating the painfully obvious. Be bold, and creative! Explain your theory. Do not post spoilers as "predictions". This includes spoilery speculation (boot order, immunity wins, med-evacs, etc.) based on social media or promotional material. Please keep spoilers & speculation in /r/SpoiledSurvivor where it belongs. If you see what you think is a spoiler, report it privately to the mods. Here are the results from Episode 10's Day After Survey. You can view Google's interactive summary of the results here. You can view the results over the course of the season here. Survivor: Edge of Extinction | Episode 10 | Player of the Week Results! Wardog is the Player of the Week for the second time this season, as he deftly blindsided the two remaining returnees and solidified his spot as the biggest remaining threat. It will be interesting to see how he manages that in the coming weeks. Kelley is the Loser of the Week, the first time in her Survivor career. She was ultimately blindsided with an idol in her pocket, in addition to revealing her allies idol to those on the Edge of Extinction. Victoria and Aurora join Wardog in the Top 3 this week. Victoria continues to slide along unnoticed while always voting out the person who goes home, while Aurora won her second individual immunity necklace and reversed her fortunes once it was looking grim after the Eric vote. Julie and David join Kelley in the Bottom 3 this week. David was victim of his own reputation and couldn’t rally the votes to his side, while Julie was left out of the Kelley vote and essentially blindsided by her close ally Ron. Wardog had more than double the next highest score, and he jumps Lauren and David for the highest cumulative score, after coming into the merge with the 10th highest cumulative score out of 13. Rick joins the 1000 score club. You can see the original thread here. This thread is intended for in-depth discussion of the most recent episode. Low effort content, such as memes, jokes, or other such comments are discouraged here. Instead, we encourage people to post more detailed thoughts after reflecting on the episode. Once again, we are having a survey after each episode. You can use the questions from the survey as the basis for discussion, or you can choose to talk about something else from the episode. The survey is now closed. You can view the results here.